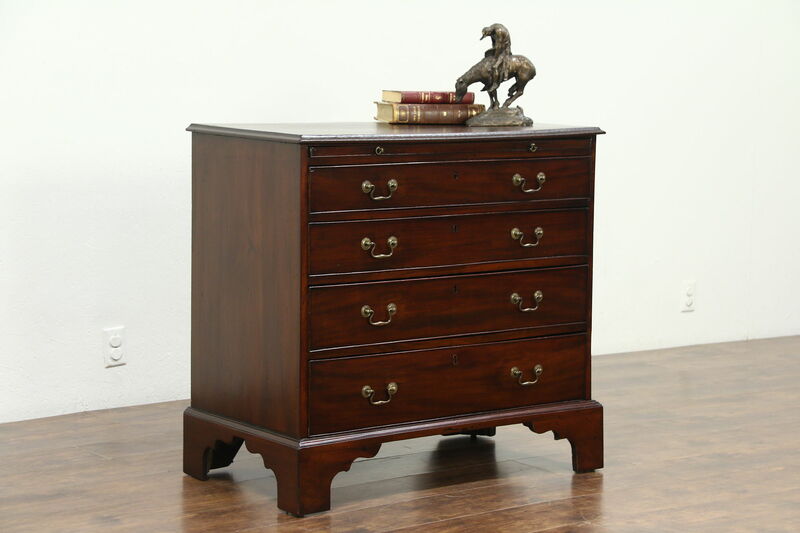 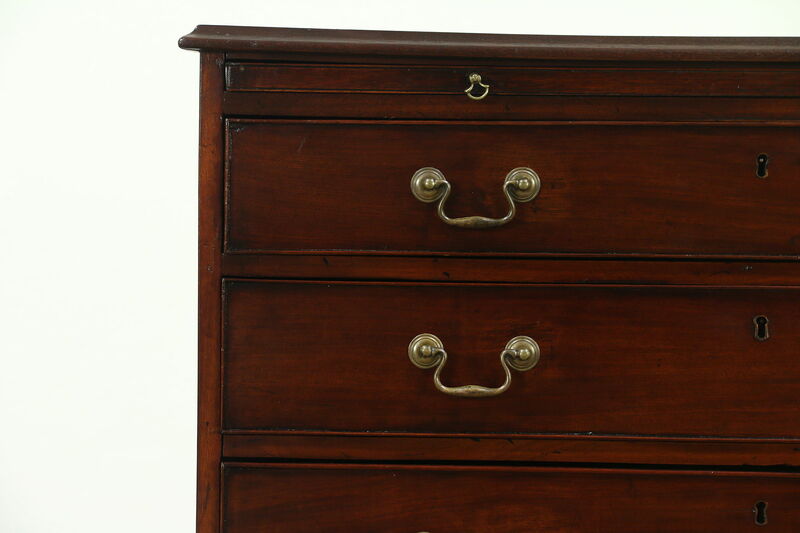 This style of dresser was called a "bachelor's chest" because of the pull out shelf where a bachelor would eat when his landlady brought a meal to his room. 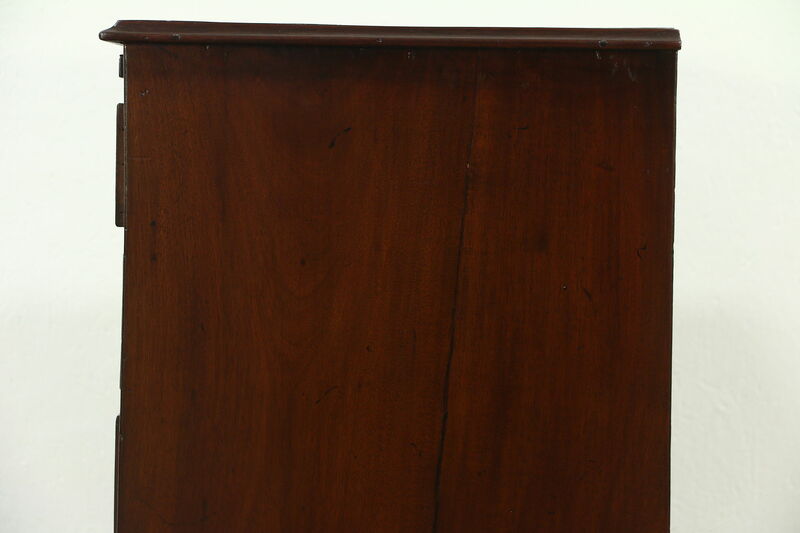 Men couldn't cook at the time. 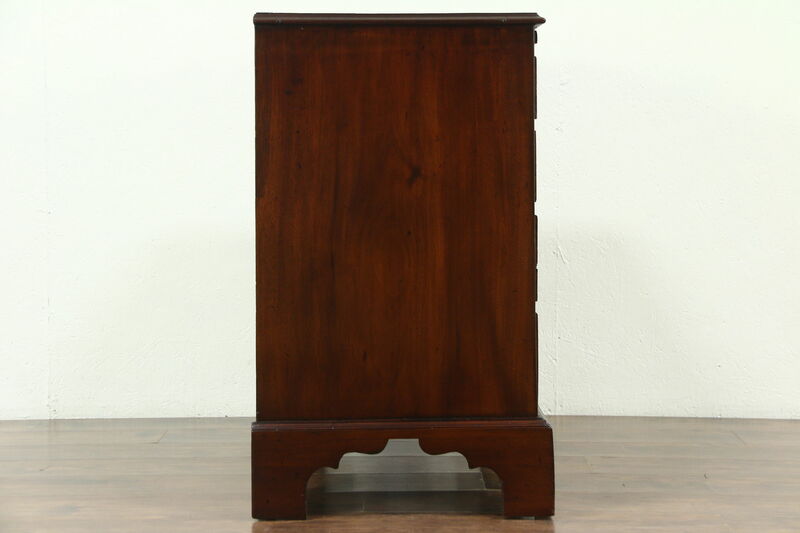 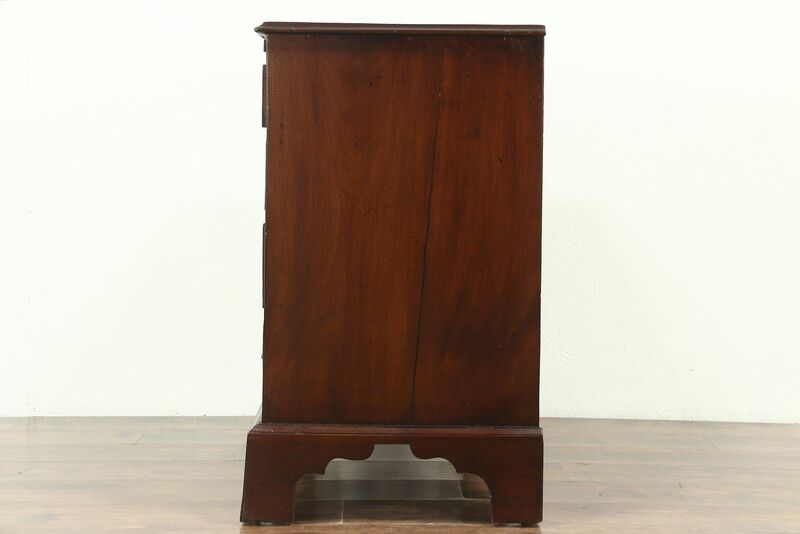 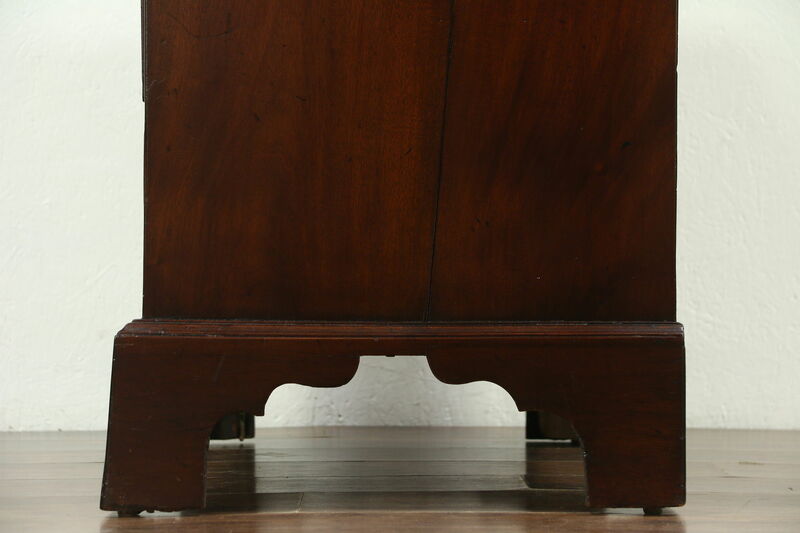 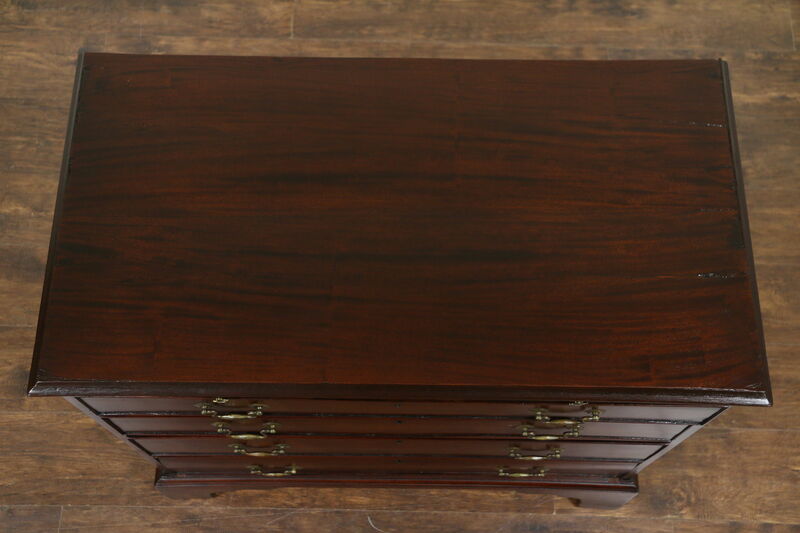 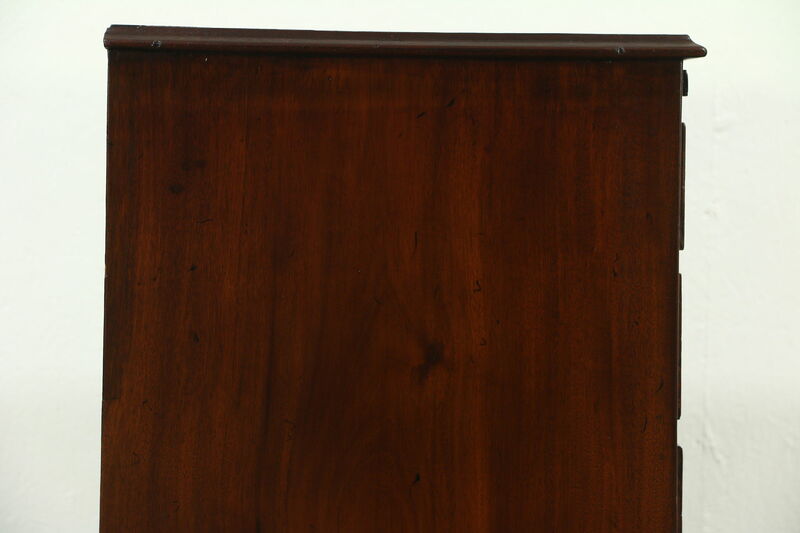 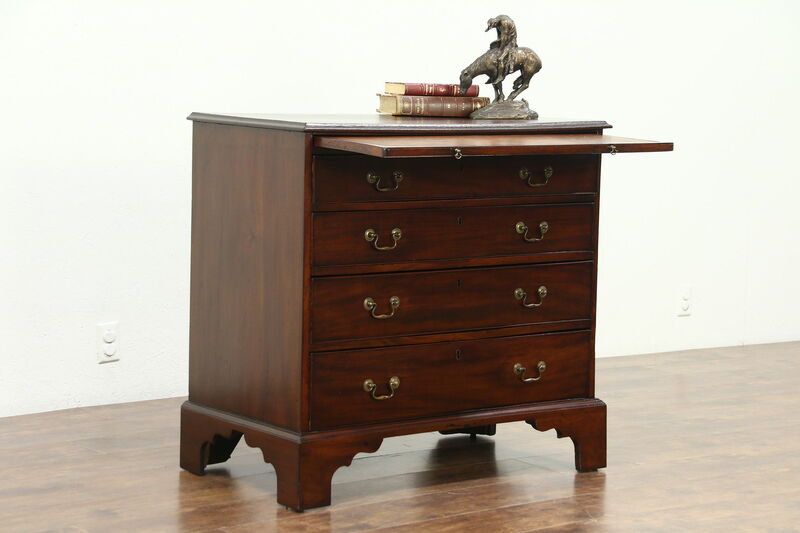 Hand crafted of mahogany in England, this antique furniture dates from about 1830. 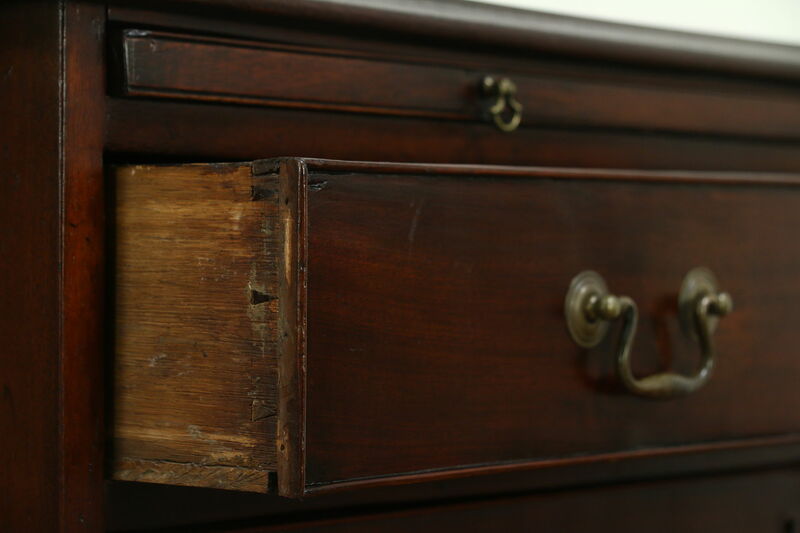 The restored finish is in excellent condition, preserving some losses at the edges plus shrinkage separations from age for a little character. 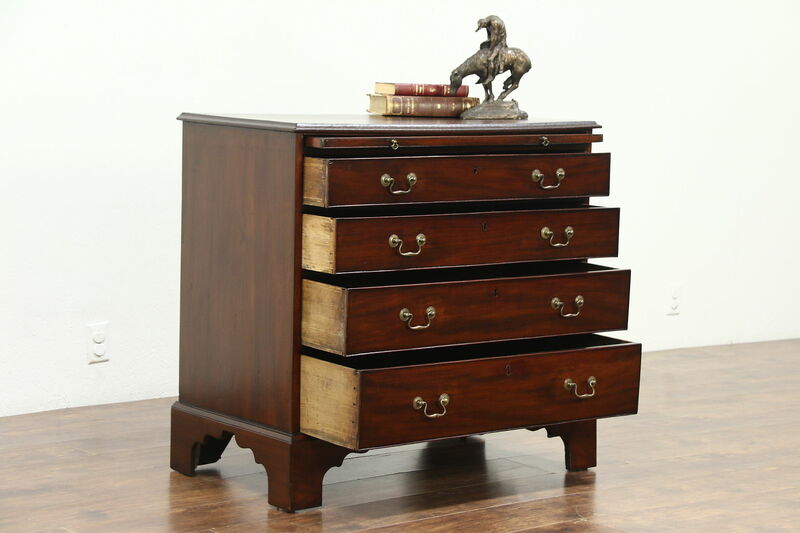 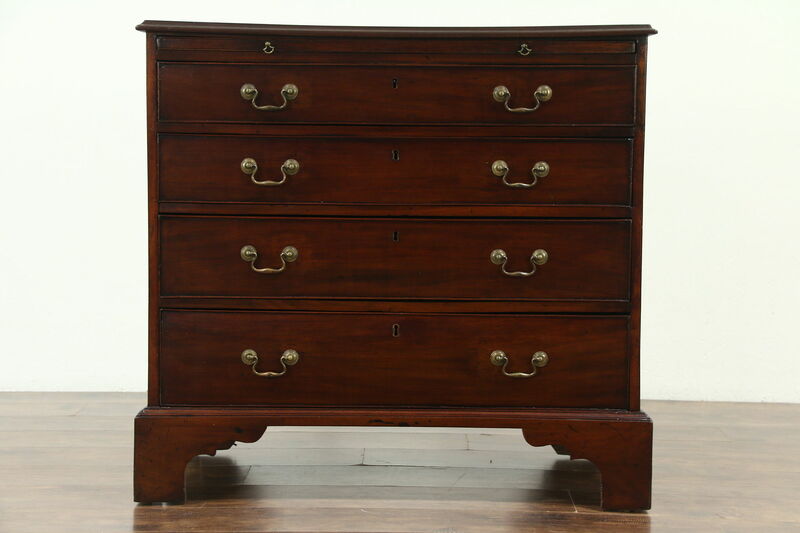 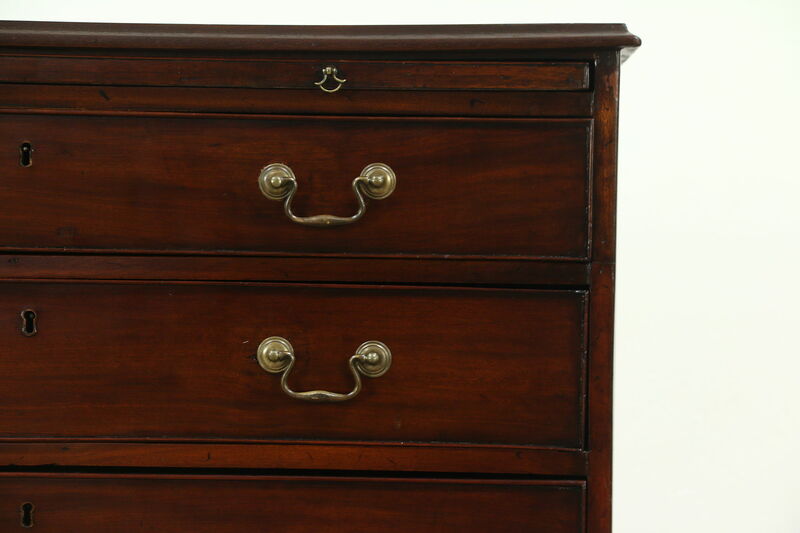 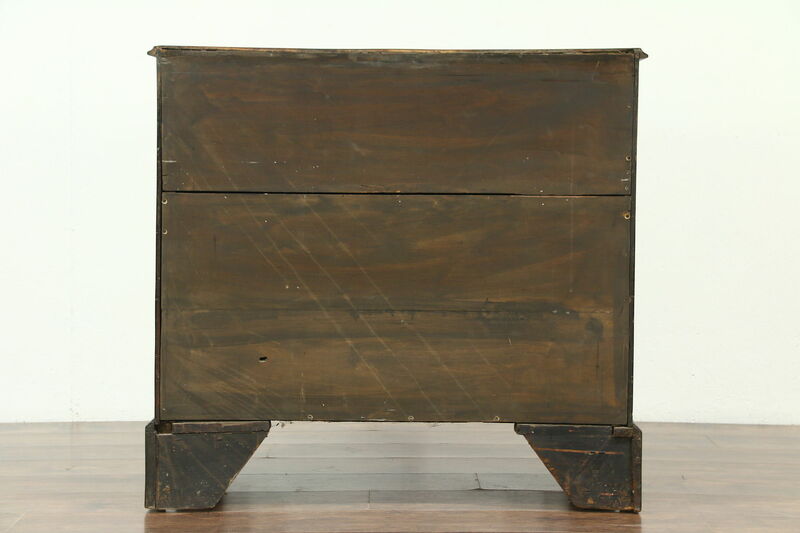 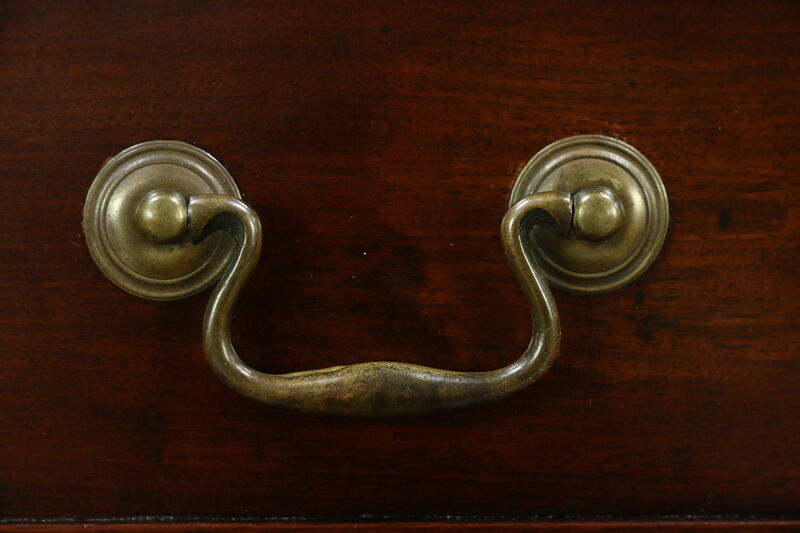 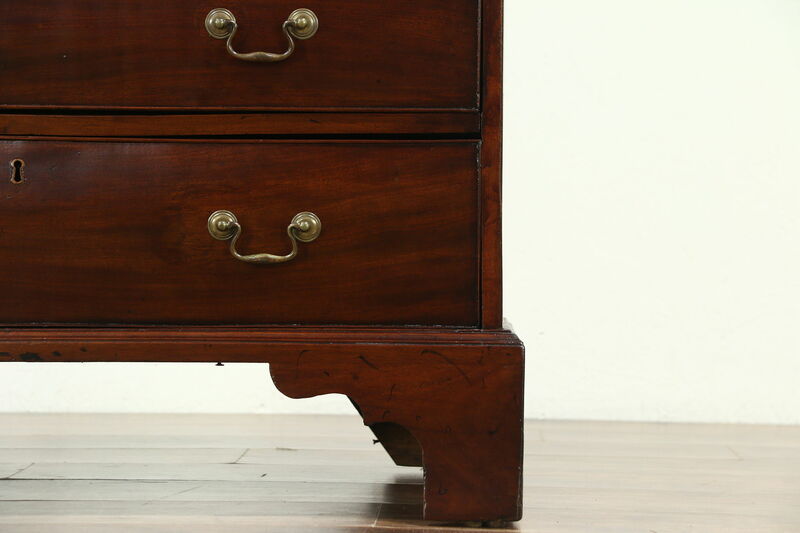 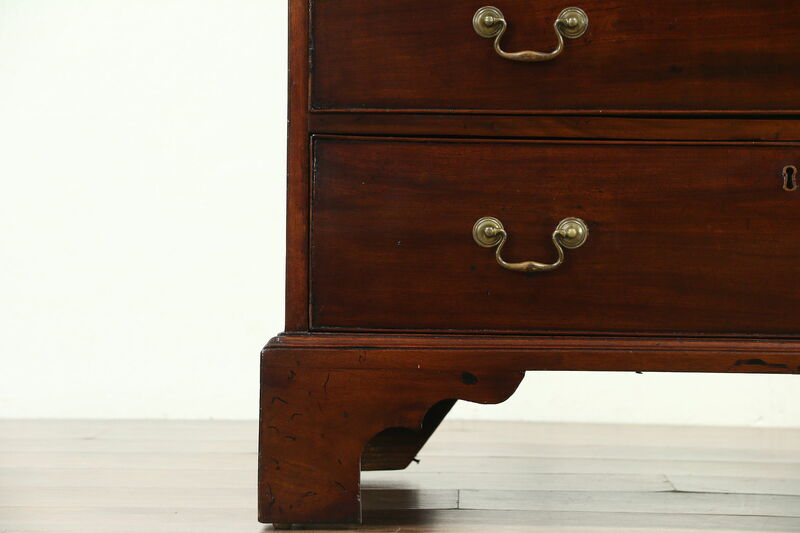 Graduated drawers have solid oak sides with hand cut dovetail joints, patinated brasses appear original. 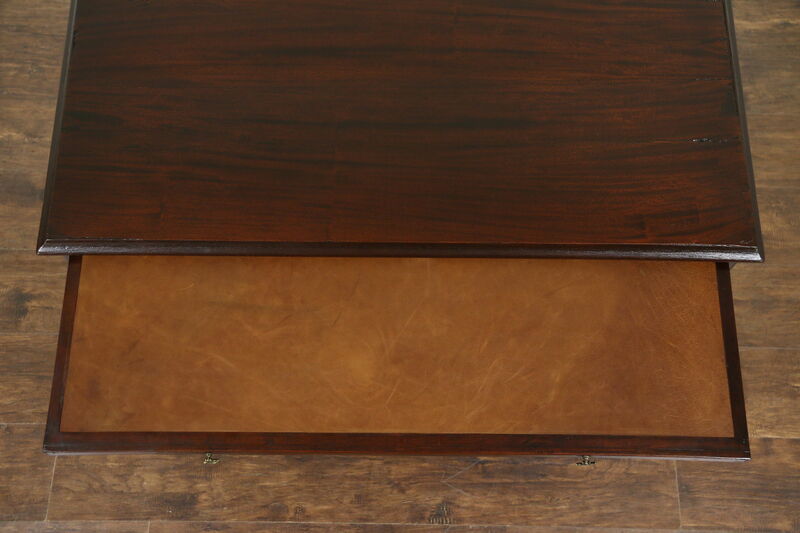 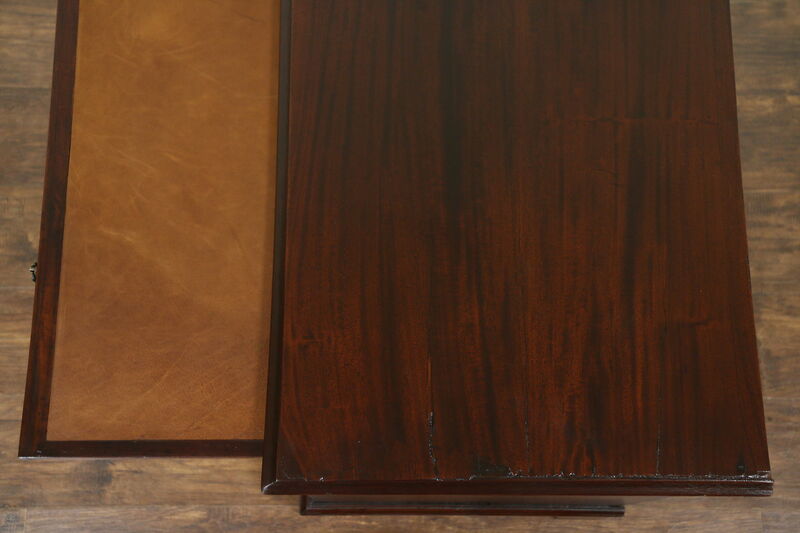 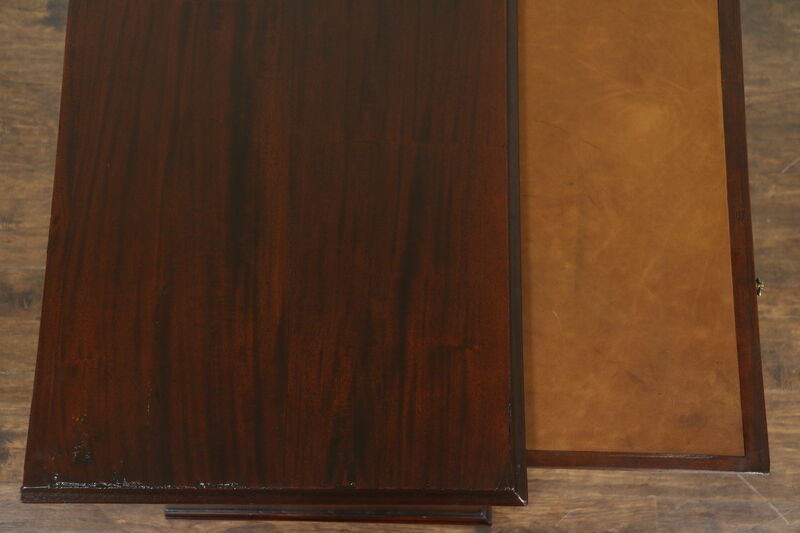 The shelf has a new natural saddle leather top. 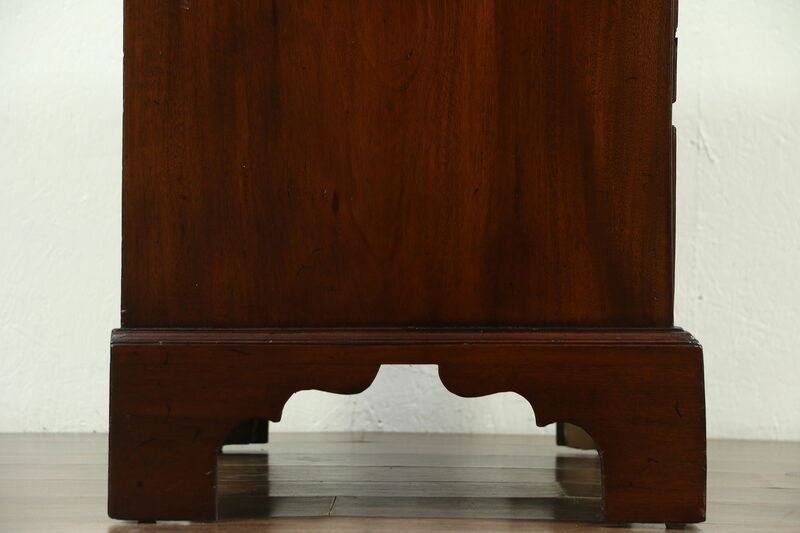 Measurements are 37 1/2" wide, 20" deep and 35 1/2" tall.